Why do people still love the Fender Telecaster? The Fender Telecaster, the ‘other’ guitar in Fender’s stable, sometimes a little in the shadow of the huge iconic success that is the Fender Stratocaster. Why is the Fender Telecaster guitar still in demand today, little changed, over 60 years since its inception? Shouldn’t it have been superseded, improved upon and made redundant? If you already have a Telecaster you will know why it is special. People sometimes mock the simplistic design and basic shape. Sometimes it’s affectionately referred to as “The Plank“, the bridge mechanism is nicknamed “The Ashtray” and the headstock seems a little under-nourished compared to the newer Stratocaster design. But simple things tend to work and tend to be reliable, a lot of people call the Telecaster a workhorse of a guitar. The guitar is very very versatile as can be seen from its myriad users throughout the whole spectrum of musical taste (almost). 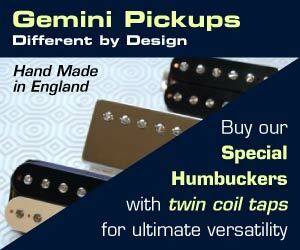 That’s no doubt because of the guitar’s wide range of sound produced by the two pickups; a bright, sparkly, treble rich bridge pickup and a warm bluesy tone from the neck pickup. In 1949 the guitar we now know today as the Fender Telecaster was first put into production but at that time it was called the Broadcaster! Unfortunately there was already another musical instrument manufacturer using the similar name; Broadkaster for a range of drums, so Fender decided to rename the design to the Telecaster. This was the first guitar to use the principles of mass-production in the vein of Fordism. With the Telecaster’s modular components and simplicity it also meant that buyers/players could adjust, change and repair things more easily and cheaply than before. In 1972 the very popular Telecaster Deluxe was introduced and it is a version that is popularly ‘re-issued’ by Fender and Squier. It had the cool Fender 70s style Stratocaster headstock, this looks VERY big on a Telecaster where you are accustomed to seeing the smaller thin headstock. Also cosmetically you have the huge scratchplate, rather amorphous looking, quite a departure from the small neat pickguard of yore. Above we have a version with two humbuckers but perhaps more common was an identical guitar with the Ashtray bridge containing a single coil unit like the original Telecaster. In my view the final major sub-version of the Telecaster is the Thinline Telecaster. This was available with either two humbuckers (called the ’72 Thinline) or the two single coils (the ’69 Thinline). Just in case you don’t know, the Thinline Telecaster has a semi hollow body with an ‘f’ hole on the body above the bridge/pickguard. For me, if I could only own one Telecaster it would be the ’69 Thinline Telecaster. It has the original 1950s pickup configuration with a semi hollow body and a nicer pickguard than the ’72. And I think a Telecaster should have a Telecaster headstock! Finally let me leave you with a link to my favourite Telecaster player Jerry Donahue, showing his amazing technique in this interview video. Thanks for reading, next up will be some more new, innovative guitar designs, stay tuned. I must have reminded Fender of this guitar because they have just posted their own retrospective of the Telecaster here. Lots of great info for Telecaster fans about the history of the guitar. But this is better, an article in The Guardian about the Tele’s 60th anniversary and some opinions of great Telecaster players. It´s have a great look. I love my Highway One American Tele. There’s just nothing wrong with it. It’s “two microphones on a slab of wood”, and you really need nothing more to cover all your bases. The tele goes from yeehaw screamin’ country licks to mellow jazz tones with the flick of a switch. It’s the greatest thing ever invented, in my opinion. i like telecaster. It’s my guitar. It’s a very good guitar. Telecaster can do it all!!! Its the most honest sounding guitar in my opinion. If you are having an off day playing one, it will totally sound like it. There is no hiding your screwups on a Tele. Blues,jazz,punk,rock,metal,country,surf.indy.It will do it all!!!! !